If you are looking at getting away this summer but don’t want to spend a fortune, there are plenty of options available to you and your family. Staying in the UK can be fun regardless of the weather as long as you are prepared before you go. Here we have a few suggestions to help you choose your perfect getaway! This has to be one of the most cost effective ways to spend your holiday as long as you already have the equipment. If you don’t and this is the first time you are trying it then perhaps try to borrow the equipment from someone in the family or friends. If you do need to buy then Blacks Leisure, Millets, why not try our codes at Millets promotional codes and Cotswold Outdoor plus other retailers both on the high street and online are great places for camping equipment and clothing. Choosing your location is very important. It might seem idyllic to spend a week with the family in the middle of nowhere but when reality sets in, the kids get board as there is not much to do, or the weather takes a turn for the worse, then you are stuck and this one experience could put you off what can be a great deal of fun, for good. 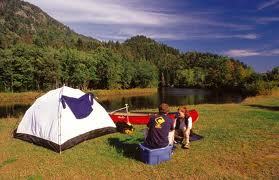 If you have children then look for family campsites where your kids can make new friends and go on adventures together. Seaside locations are very popular but can be pricey. Most campsite have the essentials such as toilets and shower facilities, however be prepared to share with the rest of the campsite. 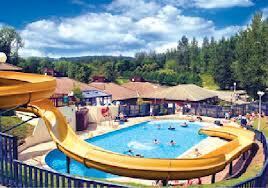 There are some holiday companies that offer camping on their holiday parks – Haven is a good example. These sites give you the opportunity to camp, but with entertainment day and night for the kids and adults if the weather isn’t that great. Camping can be good fun but not for those who have to be close to a plug for hair straighteners or find being too close to nature a bit too creepy! Holiday parks have been huge in the UK for years and are still the no.1 choice for many families as they offer full day and night entertainment programs for young and old. Butlins, Pontins, Haven and Park Resorts still remain the UK’s favourites. Many are located close to UK beaches giving you additional activity options during your stay. Butlins has 3 fabulous resorts located in Minehead, Skegness and at their flagship resort in Bognor Regis. Pontins have 5 fantastic resorts in Southport, Prestatyn Sands, Brean Sands, Camber Sands and Parkefield. Both Butlins and Pontins resorts have stunning beaches located close by. Haven has over 34 parks and resorts and Park Resorts has over 38 places with the majority located along the UK’s coastline. Types of accommodation vary from hotels to apartments and chalets to static caravans, camping, bungalows and lodges. All have great places to eat along with convenience stores where you can buy your own supplies if you are self-catering. The entertainment is fantastic at each park with great daytime and early evening programs for the kids and entertainment for all the family as well as adult only later in the evening. Holiday parks are definitely a fun getaway as there is so much to do regardless of the weather and they don’t cost as much as you may think. Travelling to the Isle of White can give you the feeling of going abroad but without the fuss and expense. Ferries run throughout the day from Southampton to Cowes costing from as little as £32 for a mid week return (low season, one car, 2 adults and 2 children under 15). Sailing only takes about an hour and you can travel on foot or in your own car – taking your car means no luggage restrictions or the hassle of carrying everything on and off the ship. Once you are on the Isle of White accommodation is plentiful, choosing can be the hard part! There are plenty of activities once you are there including fossil and Dinosaur hunting for the youngsters to tree climbing, rib rides, horse riding and kayaking for the older children. If you are travelling without children then why not do a spot of bird watching or red squirrel spotting. The Isle of White has also become established on the festival calendar with the legendary Isle of White Festival dating back to the 1960’s. There is also the Rhythemetree Festival and Bestival during the summer months. The Ventor Fringe Festival during August is popular and for the VW enthusiasts there is V-Dub Island. Staying on the island can be good fun and those who go always want to go back so why not give it a go this holiday season. If camping is not for you then the next best alternative is a B&B. They offer a bit more comfort, style and privacy and need not cost a fortune. 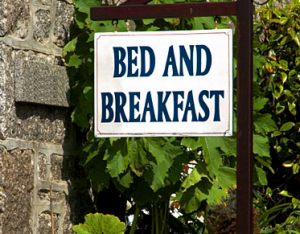 There are some beautiful B&B’s around the UK, most especially in coastal locations some offering en-suites facilities, while others offer shared facilities. Out of peak season you can often find vacancies at a B&B on the day you arrive, giving you the freedom to move from one place to another as you want. Why not treat yourself to a touring holiday, find a start point and see where you end up. Devon and Cornwall are very popular during the summer months, as is Wales and the Lake District. Why not experience the breathtaking views of the Scottish Isles or the stunning beauty of the Cotswolds. Not only will you enjoy your tour you will also be supporting small local businesses! These are only a few suggestions for breaks on a budget. Why not do something different this year – it could prove to be something you and your family actually enjoy and want to do time and time again. The only thing you can’t plan for is the good old British weather but as the saying goes – there is no such thing as bad weather, only the wrong clothing!